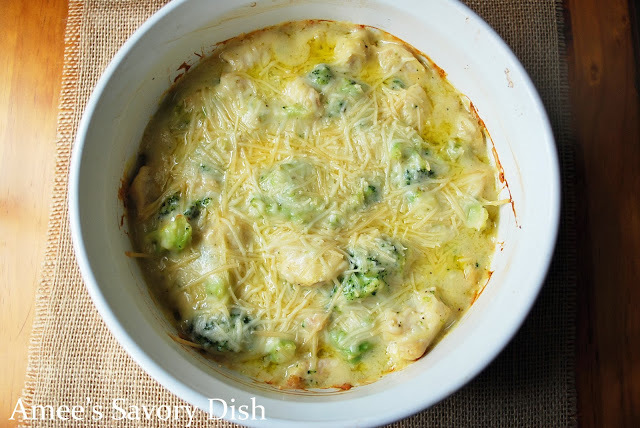 Herbed chicken and broccoli casserole is an easy weeknight dinner that will be a family favorite! The creamy herbed chicken is moist and full of flavor, making it a kid-friendly recipe! *This post contains sponsored links from Campbell’s. All opinions are my own. Kids’ tastes in food are one of life’s great mysteries. Take green beans, for example. Yesterday they were the only vegetable your son would eat, but today, thanks to his new aversion to green foods, he won’t go near them. If this sounds like dinnertime at your house, you’re in luck. Campbell’s Soup Company has been making dinnertime easier for more than 144 years. Picky palates will be satisfied with the help of The Wisest Kid in the Whole World™, offering scrumptious recipes that the whole family will enjoy. You’ll save time and energy with the fun, quick meal ideas at WisestKid.com. They offer new twists on your favorite classic recipes. You can also browse more ideas at Campbellskitchen.com. 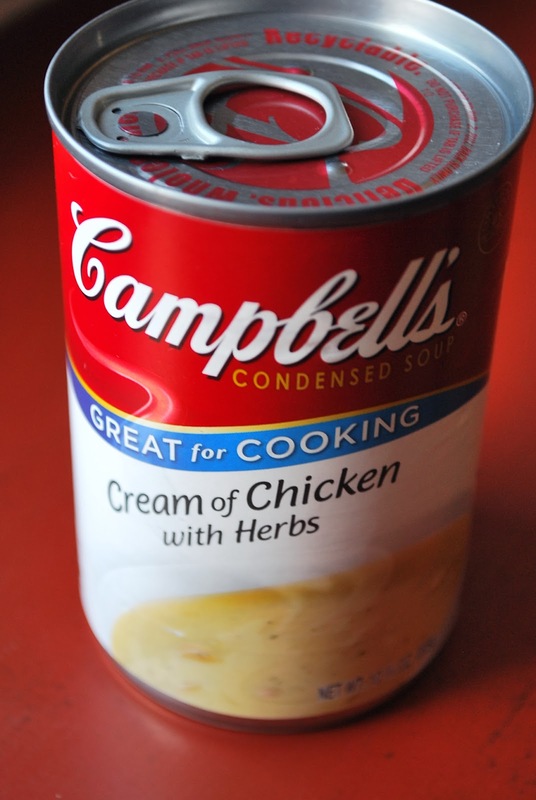 The creamy, rich taste of Campbell’s cream-based soups add a wonderful flavor that makes kids come back for more. 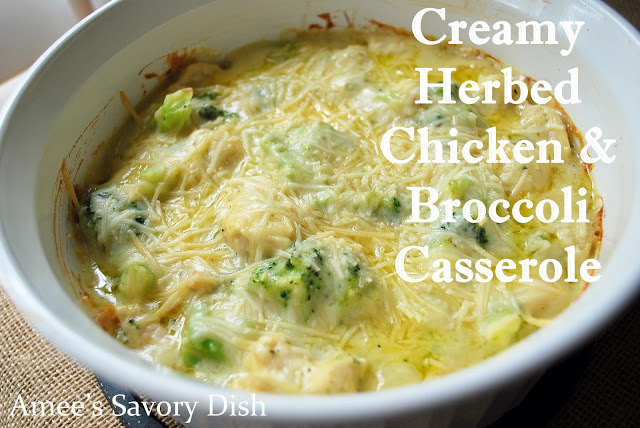 I’ve created an herbed chicken and broccoli casserole recipe that fits the bill, using Campbell’s Cream of Chicken and Herbs soup. This recipe is appealing to busy moms and dads because it’s simple and quick to prepare. You can assemble this dish a day ahead and refrigerate until you are ready to bake. It takes plain old chicken and broccoli to a whole new level! Preheat oven to 375 degrees F. Heat olive oil in a large sauté pan over medium heat. Cook chicken and minced garlic until chicken is no longer pink. Drain off any liquid and pour into a large bowl. Add all other ingredients to bowl, reserving 1/2 cup Parmesan cheese. Stir well until combined and pour into a buttered casserole dish. Top with remaining cheese. Bake for 30 minutes. Serves 4. « A Holiday Cheer Giveaway! You bet Lori! I love to hear that you enjoy the recipes!! Subscribe to get my FREE protein-packed smoothies ebook delivered straight to your INBOX!